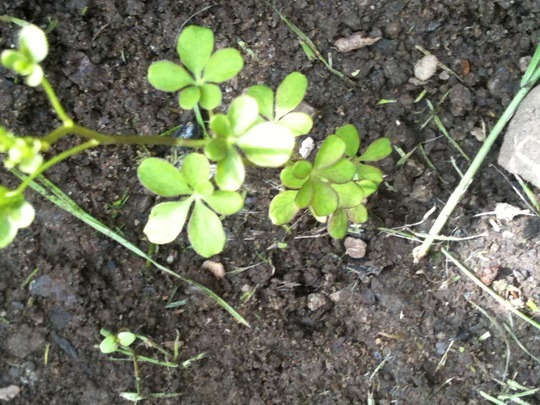 Picture No3 is a little seedling growing very nearby. Is there a possibility this is the same plant? I hope it is a keeper, fingers crossed. I thought Tropaeolum too. I'd say the seedling is the same plant too. Lucky you! I've been trying to get one established in my garden for the last 3 years. 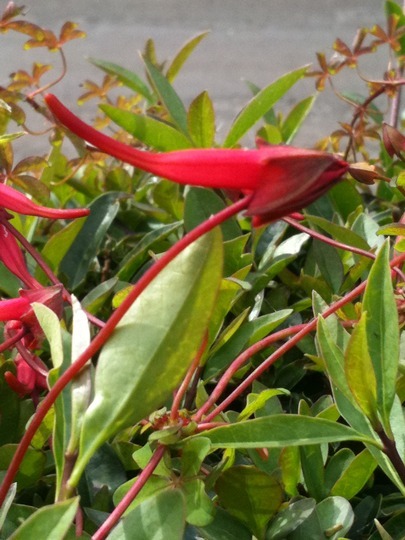 Are the flower and leaves connected to the same plant, Scottish? 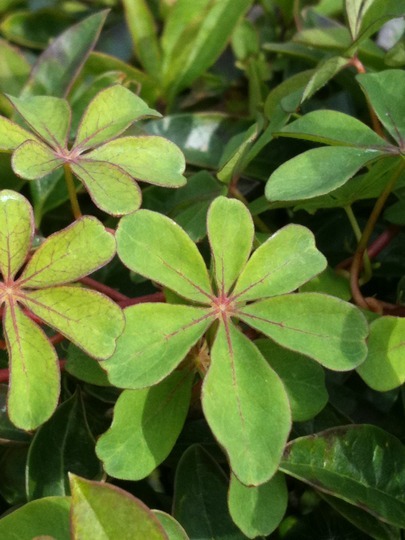 The pictures of the leaves look like Tropaeolum to me, but the flowers are very different. Is the flower fully open ? I think it is Tropaeolum Speciosum in profile and not open fully. Whatever it is, it is beautiful. Think you are all correct ,both look like tropaeolum which grows well in my garden (Edinburgh).Flowers similiar to nasturtium as its in the same family i think. It seems that you are all correct. Judging by your comments the flowers haven't opened yet. Will see what happens in a few days. Bulbaholic it is the same plant. It was too delicate to lift from the hedge to take a better picture. SBG. I hope it is the same plant. I don't want to try to remove the other from the hedge! Dgw...I'm in EH too! What conditions do you have it in? Beattie and Pimpernel, I'm pleased with it too!